Chanuka Belz - and a DOUBLE BONUS! To our visitors from Havel Havalim: thanks for stopping by. Please be sure to check out our archives before leaving. Besides the music of Modzitz, Carlebach and Twerski, we've featured the music of Yaakov Avinu, as well as Rav Yitzchak Hutner, Rav Kook, and Rabbi Nachman Bulman, to name but a few. Enjoy! I cannot think about Chanuka without including the wonderful Negina that are heard in the Belzer Beis Medrash every night of Chanuka at candle lighting. But first, some background about Negina in Belz, mostly from the Mishpacha magazine supplement Encore, which came out this past Sukkos. “When Rebbe Aharon of Belz began rebuilding Belzer Chassidus in Eretz Yisrael after the Holocaust, there were very few survivors who remembered the Belzer niggunim. Rebbe Aharon taught one prominent Chassid all the tunes of the special chapters of Tehillim [Psalms] which the Belzers sing during Chanuka, according to a set order [see below]. “In general, the Rebbes of the Belzer dynasty did not compose their own tunes. 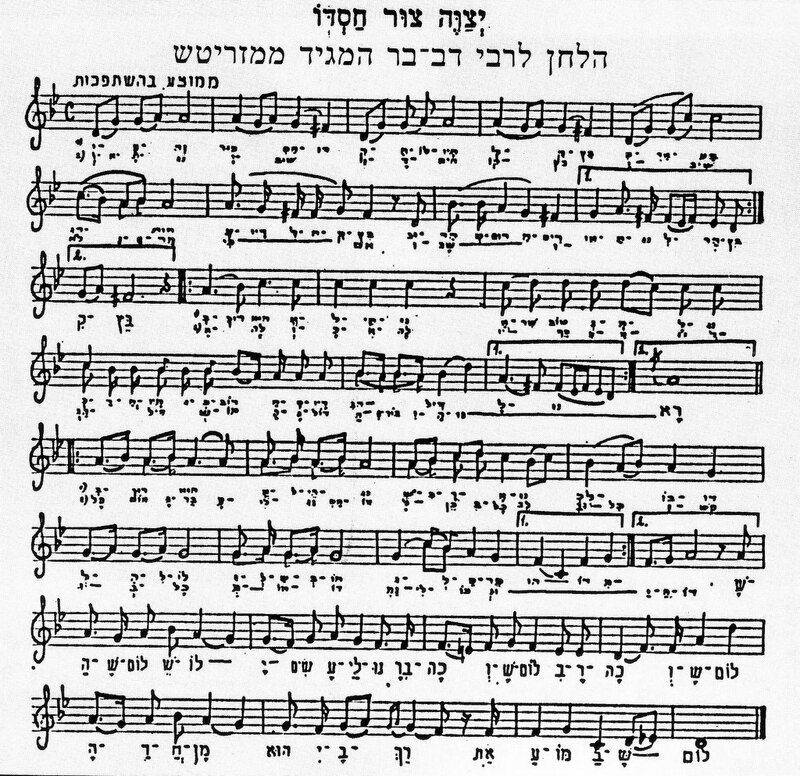 Still, the current Rebbe is a multi-talented composer, and many of his songs have gained fame among the general public, such as Yehi HaChodesh HaZeh and Ki LaShem HaMelucha (second song) [which he composed at a Purim Tish]. In addition, the Rebbe is greatly involved in Niggunei Kodesh, advising the musical-oriented Chassidim about their niggunim, including sometimes setting the tune to different words, or altering a section or a note. Many times when these musical Chassidim go in to the Rebbe, he asks that they compose a tune to match specific words. “Belzer Chassidus cannot claim a long musical history; in fact, back in Galicia [where the town of Belz was located], Belz never had a choir at all…When the present Rebbe took over, there was still no sign of a choir in Belz, and that’s how it was until the winter of 5733 . The Rebbe would make his Tish…and they used to sing only one song, “Menucha v’Simcha”… And suddenly, the Rebbe started asking for songs and inviting people to get up and sing…At first, they sang Modzitzer niggunim, or the niggunim from Ropshitz…But the Rebbe soon began demanding more. He would summon Reb Yirmiya Damen and tell him, ‘Start composing’…Then, in honor of the Rebbe’s son’s bris in 5738 , they made their first recording. The crowd gathers is the Rebbe’s magnificent Beis Medrash*. Then the Rebbe enters and lights candles. This is a link to a video of the Rebbe lighting candles on the first night of Chanuka. Note his enthusiasm as he jumps up and down while reciting the Shehechiyanu bracha [third blessing]. He is accompanied by thousands of his Chassidim, and you can hear some niggunim as well. The video is obviously far from professional, and is blurry at times due to a lack of experience, or perhaps being jostled by the huge crowd. 1. 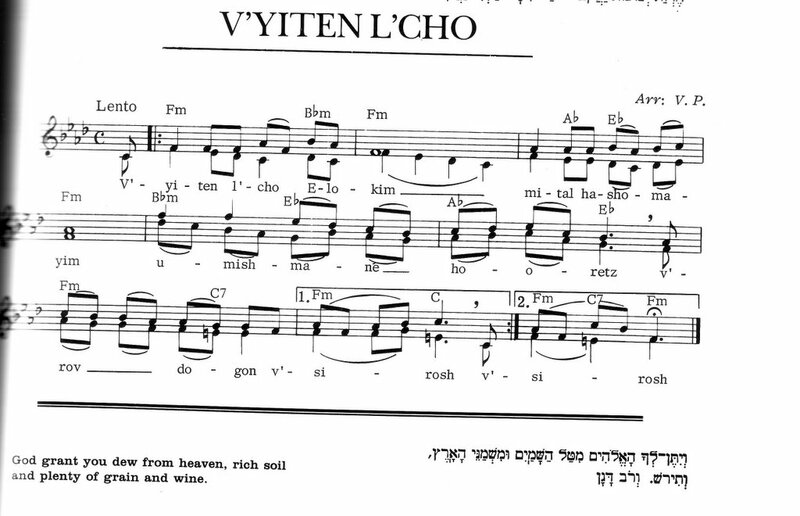 Maoz Tzur, the traditional Chanuka song, through the verse “Yevanim.” They do not sing the traditional final verse. The Belzers have many tunes for this, some of which have been released on recordings. 2. Mizmor Shir Chanukas HaBayis [Tehillim 30]. 5. “Tmanya Apei” [Tehillim 119] – literally, “eight faces.” This refers to the fact that this Psalm goes through the entire Hebrew alphabet eight times. That is, eight verses for Aleph, then Beis, etc. They sing four letters [32 verses] for each of the first four nights of Chanuka, then three letters [24 verses] for the remaining two nights. It is not sung on Leil Shabbos [Friday night] or Motzaei Shabbos [Saturday night]. 1. A Chabad page of Chanuka songs: Blessings on the Menora, HaNerot Halalu [A. Fried], Maoz Tzur, Oh Chanuka, Sevivon, “Miracle of the Maccabees” [27-min. drama enactment]. 2. And a 2-1/2 minute video of Tzlil V’Zemer singing Oh Chanuka. THE SANCTITY OF NEGINA - AN AMAZING HALACHA! Upon looking up a certain Halacha about Chanuka, I came across an amazing Halacha about the Sanctity of Negina, right at the beginning of Hilchos Chanuka. It's in Shulchan Aruch, Orach Chaim 470:2. There the Mechaber, Rabbi Yosef Karo, says, "The multitude of meals [or food served] [on Chanuka] are Seudos Reshus, "optional meals", for [our Sages] did not establish them as "mishteh v'simcha" - feasts of joy. The commentaries explain that unlike on Purim, when there was a threat to our very bodies - the threat of physical annihilation, on Chanuka, the threat was to the soul. Therefore, on Purim, on needs to bring joy to the body - through food and drink, constituting a Seudas Mitzva - a feast that fulfills a rabbinical precept. On Chanuka, one need to bring the joy to the soul, and this is accomplished through Hallel, Hoda'ah, Zemiros, Shiros v'Sishbachos - Praise, thanksgiving and Song! Then comes the amazing part. The Rama, Rabbi Moshe Isserles, adds the following to the words of the Mechaber: "It is customary to sing songs and praises at these meals, and then they become a Seudas Mitzva." Think about that for a minute. By singing songs and praising Hashem during a "festive" meal on Chanuka, one can change a Seudas Reshus into a Seudas Mitzva! We see here the power and sanctity of Negina - that by combining it with a meal on the holiday of Chanuka, it infuses that meal with Kedusha [sacntity] and turns it into a Seudas Mitzva! Chag Urim Sameach - Happy Chanuka, Festival of Lights - to all!!! This isn't exactly Negina, but these pictures do indeed sing! Chabad has brought the Light of Chanuka to the Great Wall of China, to the Kremlin, to Hong Kong, all over the USA, to the French Alps, and where not? Hats off [but keep your kippa on!] to the Chabad shlichim [emissaries]! Be sure to check out all the pix, not just the ones I've linked. 1. A gevaldik pic of the Rebbe Maharyatz, Rebbe Yosef Yitzchak of Lubavitch (aka the Frierdikker Rebbe) lighting Chanuka candles, can be found here. “Rebbe Nachman says that everything [in Creation] has its own niggun. Every land, every tree, every flower, every person… But there are two niggunim that a person, halevai [if only] he would merit hearing. “Of course, what do you think, when G-d created the world and said, ‘Let there be light,’ do you think he said it like a policemen gives an order, ‘LET THERE BE LIGHT!!!’ ? Of course not. He sang it! “And everybody knows that the Light of Chanuka is the Ohr HaGanuz, about which it says, ‘And Hashem saw the Light, that it was good.’ Why is it that on Chanuka we see the goodness in the Light? -- [Reb Shlomo Carlebach on Chanuka, Cheshvan 1993]. The Hebrew University in Jerusalem’s library has a website where one can find samplings of various niggunim from its archives. For Chanuka, one can find five different versions of candle-lightings, including this one from Reb Shlomo Carlebach. This features an actual candle-lighting that he did in 1979 at the Wise Auditorium in Jerusalem. After he makes the blessings over the candles, he sings “HaNerot Halalu” to his famous “Meloch” [aka Shochen Ad] tune, accompanied by musical instruments and the audience. 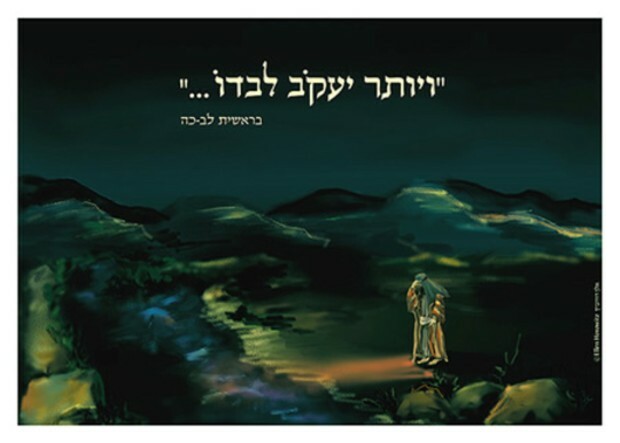 Then there are five versions of Maoz Tzur, including this of the Boyaner Chassidim singing “Yevanim Nikbatzu Alai” at a Tish on Zos Chanuka [last day of Chanuka] in Jerusalem in 1987. There are also songs in Yiddish, Turkish, and from various Edot HaMizrach [Sefardi] and Ashkenazi communities. In addition, on this page you can find links to niggunim for the various holidays, including Rosh Hashana, Yom Kippur, Sukkos, Simchas Torah, Purim and Pesach. Among these I found a Vishnitz “Shoshanas Yaakov” for Purim, and the Chabad nusach for Tefillas Geshem from Shmini Atzeres. Hat tip: The Tarbut [culture] column of B'Sheva, the newspaper of Arutz 7. Their English website is here. Thank you, Mendy Greenfeld! 1. The Modzitzer Rebbe Shlita has been moved from Ichilov Hospital in Tel-Aviv to Ma’ayanei HaYeshua in Bnei Brak. His condition is still quite serious. He is conscious, can talk somewhat, or write when he needs to, but he still needs our prayers urgently. a. A Carlebach-style minyan in my home on Friday night. b. Modzitz-Carlebach style Shacharis and Musaf on Shabbos morning, followed by a yummy, singing Kiddush! Where to find me? See the next item! 3. yitz of Heichal HaNegina can now be reached via e-mail: hanegina@yahoo.com. So if you’re interested in any or all of the Yahrzeit events in (2) above, contact me! 4. In addition to my e-mail address, I have added some new links to some interesting blogs, to be found on your left. 5. Just found an interesting website for the famous Klezmerist, Giora Feidman. Click on "Releases" and you can choose from 36 different recordings of his, and hear clips of some of the tracks! 6. A pre-Chanuka special – Singing Chanuka Candles! This is adorable! 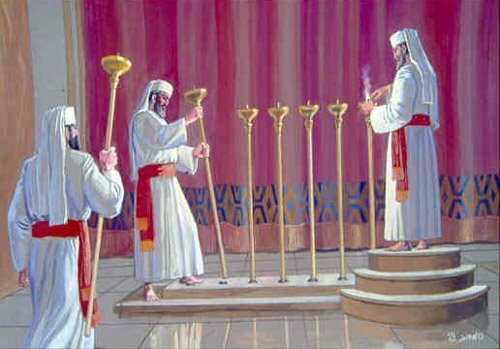 After the candles are in, click on one at a time, or click on the Shamash [center candle], then you can click one or more off, and one at a time on, all of them, etc, keep trying different combinations, very cute! Today is the 25th yahrzeit of HaRav Yitzchak Hutner Zt”l, Rosh Yeshiva of Mesivta Yeshiva Chaim Berlin and Kollel Gur Aryeh in New York, and Yeshivas Pachad Yitzchak in Yerushalayim. The following are assorted clips that I have culled from the Internet and other sources, to give a perspective of the strong emotional side of Rav Hutner, as well as his musical inclinations. Rav Hutner was a builder: “a builder of men, a builder of Torah, a motivator, a teacher and an in-depth expounder. He was a multi-faceted personality who possessed a vibrancy and exuberance that enveloped his talmidim [students]...Whether it was in Brownsville, East Flatbush, Far Rockaway or Flatbush, Rav Hutner’s unique imprint on his talmidim, and through them on the entire American Torah scene, was profoundly felt.” [HaModia, Dec. 14, 2005]. His students included the following Rabbis: Aharon Lichtenstein, son-in-law of Rabbi Joseph B. Soloveitchik and Rosh Yeshiva of Yeshivat Har Etzion in Israel; Pinchas Stolper of the Orthodox Union and founder of NCSY, who followed Rabbi Hutner's guidelines in setting up this youth outreach movement; Avraham Davis, founder of the Metzudah religious books series; Shlomo Freifeld, who set up the one of the first full-time yeshivas for baalei teshuva [newly religious] students in the world; Joshua Fishman, leader and executive Vice President of Torah Umesorah the National Society for Hebrew Day Schools; Noach Weinberg, founder and head of the baal teshuva outreach institution called Aish HaTorah; Rabbi Yaakov Weinberg of Ner Israel Yeshiva in Baltimore; Shlomo Carlebach and others. 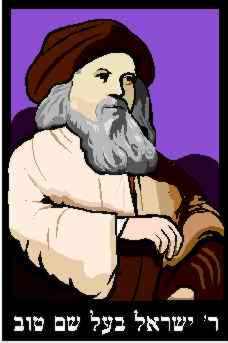 He published what is considered his magnum opus which he named Pachad Yitzchak ("The Fear of Yitzchak"). His sefarim include volumes about Shabbos and the various festivals throughout the Jewish Year. He wrote in a poetic modern-style Hebrew reminiscent of his original mentor's style, Rabbi Avraham Yitzchak Kook. The core of his synthesis of different schools of Jewish thought was rooted in his deep studies of the teachings of Rabbi Yehuda Loew ben Bezalel (1525 -1609) a scholar and mystic known as the Maharal of Prague. It is commonly accepted that Rabbi Hutner "opened up" and "popularized" the writings and ideas of the Maharal. "…he told Rabbi Shlomo Freifeld that the root of his soul was the same as that of Rav Kook's. He was taken by the multidimensionality of Rav Kook... by his total mastery of both nigla (revealed) and the nistar (hidden) segments of Torah, by his sensitive, refined character, by his poetic nature, and by his fresh, dynamic spirituality...Perhaps the most important thing he learned from Rav Kook was the need to communicate the nishmas HaTorah, the soul of the Torah, including the whole gamut of non-Halachic Torah: Jewish thought, Mussar, Kabbalah, and Chassidus. Rav Kook believed the failure to communicate this part of the Torah was responsible for many of the defections from Judaism. 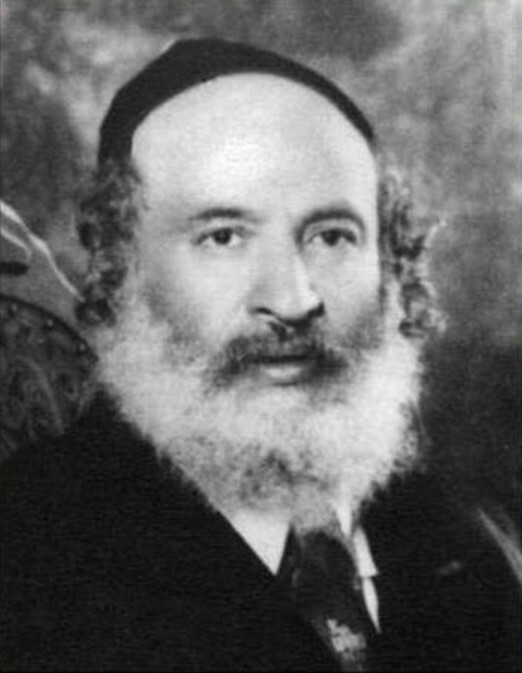 Rav Kook used the term Hilchos Deos V'Chovos HaLevavos ["laws of the mind and obligations of the heart"], which became part of the subtitle of Rav Hutner's great work, Pachad Yitzchak…Rabbi Hutner disagreed with the political and historical views of Rav Kook but this did not prevent him from gaining immeasurably from their close relationship". Rabbi Hutner developed a style of celebrating Shabbat and the Holy Days, Yom Tov, by giving a kind of talk called a ma’amar. It was a combination of Talmudic discourse, Chassidic celebration (tish), philosophic lecture, group singing, and when possible, like on Purim, a ten-piece band was brought in as accompaniment. Many times there was singing and dancing all night. 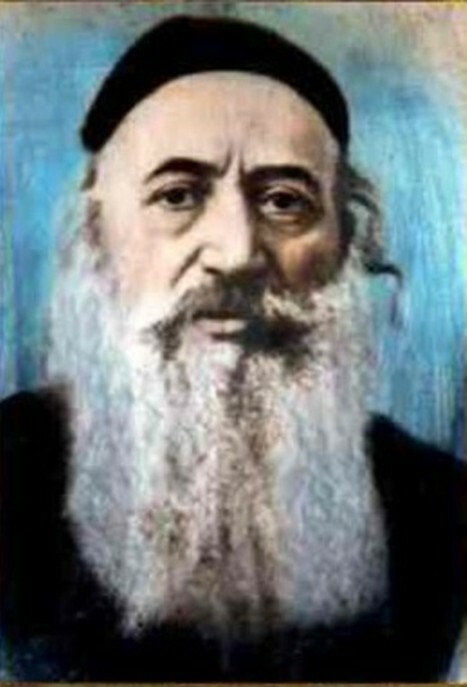 All of this, together with the respect to his authority that he demanded, induced in his students obedience and something of a "heightened consciousness" that passed into their lives making them into literal Chassidim ("devotees") of their Rosh Yeshiva, who encouraged this by eventually personally donning Chassidic garb, (begadim) and acting outwardly like a synthesis between a Rosh Yeshiva and a Rebbe and instructed some of his students to do likewise. Rav Hutner on Chanuka: While the Halachos [laws] of the holiday of Purim command an entire Masechta [tractate] of Megilla in the Mishna, the basic discussions of the Halachos of Chanuka appear only in the Gemara (Shabbos 21b). Indeed, no mention of the miracle of Chanuka appears anywhere in the Mishna. Rav Yitzchak Hutner Zt”l, in his Pachad Yitzchak, proposed the following explanation. The miracle of Chanuka took place in a period in Jewish history where the Tannaim and the learning of Torah she'Baal Peh (the Oral Law) were flowering. Indeed, Chanuka is the first holiday that occurred after the conclusion of the Tanach, and thus completely based upon Torah she'Baal Peh. [Purim, while a Mitzva d'Rabbanan [rabbinical], is nonetheless mentioned in Tanach in Megillas Esther.] Rav Hutner notes that Torah she'Baal Peh should ideally never been written but handed down orally from Rebbe to Talmid. Indeed, the Talmud (Gittin 60b) learns that writing Torah she'Baal Peh is technically forbidden, and Rabbeinu HaKadosh only consented to committing the Mishna to writing lest the Torah she'Baal Peh itself be forgotten. As such, argues Rav Hutner, Rabbeinu HaKadosh wished to maintain the Kedusha of the written Torah she'Baal Peh as relates to Chanuka, and ensured that – at least at the time of the Mishna – its details would continue to be transmitted orally from Rebbe to Talmid. How is it that Shabbos is received - Kabbalas Shabbos - through song? In the sefer Ohr Zarua HaGadol, it’s brought that the source for zemiros [songs] on Motzaei Shabbos is from the words of Lavan, that if he had known that Yaakov was leaving, “I would have sent you off with celebration and song, with drum and lyre” [Breishis, 31:27]. From this it is learned that when escorts the Shabbos [on its way out], it is done with song. The rule is, the honor given when escorting a guest upon his departure cannot be greater than the reception accorded him when he arrives. Therefore, Kabbalas Shabbos is with song, and the soul sings what it innately knows from the cycle of time – “Lecha Dodi - come, my beloved.” [Pachad Yitzchak, Shabbos]. The Yamim Noraim [Rosh Hashana and Yom Kippur] were unforgettable, and many who were there say that to this day the inspiration they feel on the Yamim Noraim relates back to those days. During the silent Musaf Amida [prayer recited while standing] for Rosh Hashana, the Rosh Yeshiva, who had a rich, powerful, but delicate voice, would sing a haunting melodic fragment that shattered the complacency of all those present. One interesting letter that he wrote to a talmid recalls memories of a shared experience at a simchas beis hasho'eiva [festive Sukkos celebration]. The place was, "a spacious sukka, full of people celebrating, on a high rooftop, separate and set apart from the dwellings of lowliness below. Among the members of the party, all of whom are of the same mind, divrei Torah are delivered that uplift the soul and draw streams of nobility upon the gathering, preparing them for expressing the joy that is inspired by [the fulfillment of] mitzvos. The space inside the sukka is filled with song and playing of intimate melodies directed primarily to the point of the Divine soul which resides in its hidden recesses. One of the melodies is a wonderful combination of a powerful tune with the words, Achas sho'alti." Rav Hutner followed that talmid and noted, "I saw with clarity of vision that your tears then, at the simchas beis hasho'eiva, were drawn from the wellspring of your soul. And lo, something wondrous: those tears transformed the skin of your face (skin, "ohr" with an ayin), to the light of your face (light, "ohr" with an aleph)." Rabbi Yitzchak Hutner notes that just as the ears hear by detecting sound waves and the eyes see by responding to light waves, the mind also has its medium: pleasure. The mind learns what it wants to learn, what it enjoys learning. Hence, our Sages tell us that a person should study subjects which he finds pleasurable. For this reason, the blessing said before beginning the day's Torah studies contains the request, "And sweeten the words of Your Torah in our mouths...." This principle is as true of discipline as it is of developing a disciple. Rav Yitzchak Hutner, of blessed memory, once explained that a niggun serves to separate one from the mundane world and elevates us spiritually. Rav Yitzchak Hutner z”l explains that there is a difference between the Hebrew word for a song that the Torah uses and between the word that David HaMelech used. The Torah uses the word “shira”. David HaMelech called the Torah a “zemer”. Although both of these words are translated into English as “song”, there is a difference in the type of song that they describe. The word “zemer” can also mean to cut or to prune. 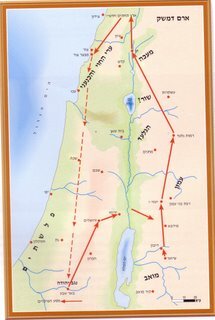 The word “shira” is related to the word “shura”, meaning a straight line. “Zemer” is a song that is sung when a difficulty is overcome and an obstacle is surmounted. You cut yourself away from the impediment and you emerge happy and triumphant. “Shira” is a song that does not relate to any negativity at all, it is the song of pure happiness that wells from the straightforward flow of a good life. The nusach [lyrics] of the song "Bilvavi Mishkan Evneh" was composed by Rav Hutner Zt”l, based on an earlier piyut [poem]. In my heart, I’ll build a sanctuary to His glory’s splendor. And in it I’ll place an altar to the rays of His grandeur. and the sacrifice offering I shall make to Him is my one and only soul. R. Shmuel “Shmelke” Brazil, who composed the tune, says the following about it: “I composed Bilvavi in 1968, when I was a bachur [bachelor]. On Tisha B’Av night, in the beis medrash of Yeshivas Shor Yoshuv in Far Rockaway, I sat by myself in the dark after completing Megillas Eicha and Kinos. That’s when the tune came to me. Several months later, I heard the gaon Rabbi Yitzchak Hutner’s beautiful words, which he was inspired to write after studying Sefer HaChareidim, and then took his words and set them to my tune.” [Mishpacha magazine, "Encore"]. In the late 1950s or early 1960s, a recording titled “The Torah Lives and Sings” was issued by Rav Hutner’s Chaim Berlin Yeshiva. 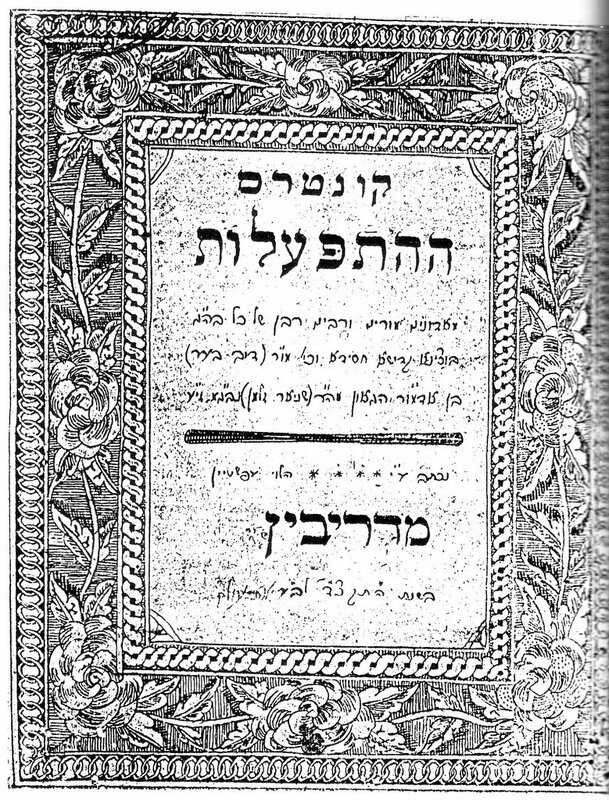 It contained niggunim composed by the Rosh Yeshiva and his talmidim. Among them are Rav Hutner’s Elokai Neshama*, and the famous march tune, later set to the words V’haviosim L’Har Kadshi. If anyone has this recording or any more info about it, please let us know in the Comments section, thanks! *The link for the tune "Elokai Neshama" will take you to a Hebrew page of the Shalhevet Group, of a double-disk. For those who can read Hebrew, look for song #5 on "Disk Sheni" [the second disk], called "Neshama." You can then click on various pop-ups to get the words & info about the song, or the notes, or to hear a 50-second clip of the tune itself. Thanks, Nachman! [See comments section]. This Monday night and Tuesday, the 19th of Kislev, is the Yahrzeit of the Maggid of Mezritch, successor to the Baal Shem Tov as the leader of the Chassidic movement. In 1761, a frail aging man who walked on crutches took over the reins of the fledgling Chassidic movement. Described by his mentor, the Baal Shem Tov, as a "pure golden menorah who needed only to be lit," and an "endless fountain," Rebbe Dov Ber moved to Mezritch where his every word reverberated in the hearts of his numerous disciples, each of whom became a luminary in his own right. In twelve short years Chassidus was transformed from a "sect" concentrated in the south-central Polish province of Podolia into a movement that encompassed major segments of European Jewry. The Baal Shem Tov's teachings, initially known only to a select circle of disciples, soon became the inheritance of thousands. In the words of a later Chassidic Master, Rebbe Shlomo of Radomsk: "The Baal Shem Tov bestowed all the fountains of wisdom upon the Maggid, and he became the leader of the generation. The light of his holiness sparkled in the disciples who followed him in each era, by whose words we live until the coming of the Moshiach" (Tiferes Shlomo, "Rimzei Purim"). The Maggid of Mezritch elucidates the transcendent power of music in II Kings (3:15): “As the musician played, the Spirit of the G-d came upon him.” One often views a singer or musician, when he is singing or playing, as one who merely seeks to draw attention to his talents. But the musical instrument certainly has no ulterior motives, as it is inanimate. But if the menagen, the musician, is like the nagen, the musical instrument, without any ulterior motive, then the Spirit of G-d can rest upon him. That is, the musician must become an instrument himself, so as to allow G-d’s music to come upon him and through him. We don’t have too many of the Maggid’s niggunim. However, we do have a few – which come to us from the Chassidim of Chabad-Lubavitch, and Breslov. From Chabad, the “Niggun Shalosh Tenuos” is described as “A Niggun of three stanzas, attributed to the Baal Shem Tov, the Maggid of Mezritch, and the Alter Rebbe [first Rebbe of Chabad], respectively. A video of this niggun sung at a Lubavitch Farbrenghen [Chassidic gathering] can be seen here. The audio of this niggun, with explanation is here. This niggun is attributed to the Maggid of Mezritch, and the words were set by Rabbi Nachman Burstein of Yerushalayim most appropriately to this melody. The tune was sung by Breslover Chassidim in Uman with great dveykus, longing and emotion. It speaks for itself, conveying to anyone who understands music, the spiritual longings that flow from the heart. When the Chassidim in Israel first heard this melody, they were unable to take leave of it, singing it untiringly for hours. The song starts out with very rousing string work. I love this song. It just makes you want to get up and dance, and it definitely makes you happy to be a Yid. According to the CD insert: A lively dance melody, attributed to the Great Maggid of Mezritch, the foremost student of the Baal Shem Tov. Often song in Breslov, Tzfat after morning or evening prayers. Clip, Yosef Karduner. Thanks again to A Simple Jew, who discussed this niggun here. The music is attributed to Rabbi Dov Ber, the Great Maggid of Mezritch, successor to the Baal Shem Tov. This tune has been sung in the Breslov community in Israel as a Shabbos table niggun and for dancing for over fifty years [that liner was written in 1986!]. A Video clip, by Simply Tsfat. There's another dance tune, a wordless niggun from the Maggid, about which Breslov has a tradition. Again, from Ben Zion Solomon's notes to the Azamer Bish'vochin recording: "After dancing to Sabeinu on Friday night, there is a Breslover custom to continue dancing to Bar Yochai, Chidush K'moso and the following four dance tunes, making a total of seven." One of those four is from the Maggid. It can be heard here, performed by Ben Zion's son Noah and Shimon Lanzbom of Soulfarm. 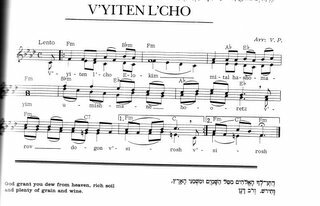 Finally, if anyone knows where we can hear the niggun [Yetzaveh Tzur Chasdo] which is notated above, please let us know in the comments section, thanks! Zechuso Yagein Aleinu - May the Maggid's merit protect us all! 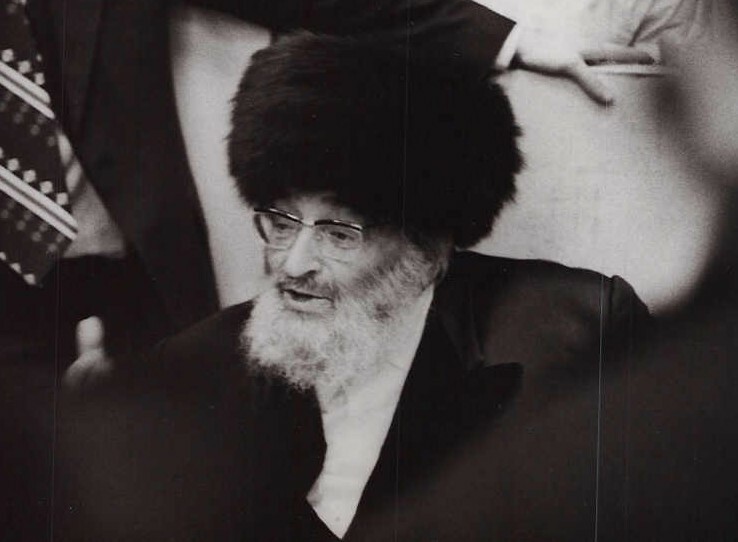 This Shabbos, the 16th of Kislev, is the 57th Yahrzeit of the second Modzitzer Rebbe, Rebbe Shaul Yedidya Elazar Taub. On Friday night, the 16th of Kislev 5708, Rav Shaul was semi‑comatose. This was the day of the UN partition vote (November 29, 1947), and the creation of state of Israel. The people in the room noticed him tapping his fingers rhythmically and humming a niggun. On Shabbos morning, Rav Shaul was niftar [passed away] at the age of 61. Rav Shaul was accustomed to learning through Tanach many times. During Chazoras Hashatz, he looked into a little Tanach between answering the brachos. A few days before his petira, the last time he looked in his little Tanach, he left the Tanach open to the last page of Zechariah where it is written that Moshiach will stop at Har HaZeisim. There was a question where to bury Rav Shaul, as the Arabs were rioting over the UN. The family had wanted to bury him on Har HaZeisim, but it was a dangerous to travel from Tel Aviv to Yerushalayim. The Chazon Ish said, "a Jew who came to Eretz Yisrael to die, after so many trials and tribulations, should be buried on Har HaZeisim, regardless of the danger". 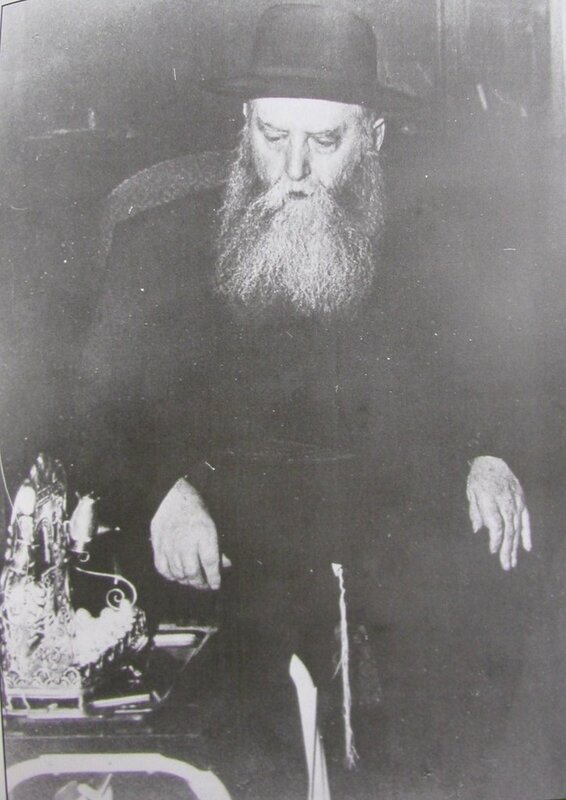 Rav Shaul was the last person buried on Har HaZeisim until after the Six‑Day War. There was no chance to put a matzeva on his grave until after the Six-Day War in 5727 . Rav Shaul answered that the Chassidim would hear the answer on Friday night. That Friday night at the tish, Rav Shaul sang Kah Ribon with a niggun known simply as "the Kah Ribon Niggun". Until that time he had not sung this Zemer, because his predecessors had not sung it. “Basically, I only have the right to sing my own melodies. But I want you to know that there is something which is so deep in my heart: ‘cause when the old Modzitzer Rebbe (Reb Shaul זצוק"ל) came to America the first time -- I think it was 1940 or 1941 -- he came via Siberia, and my brother and I, we were little kids. We were walking Friday night, and this is the first niggun I heard him sing. It got so deep in my heart, and it’s clear to me in my heart, that if I have anything to do with singing or even have the privilege of making up a song, it’s only because of Modzitz. It should be noted that Reb Shlomo often sang this niggun, and also set it to the words of Rosh Chodesh bentching - the Blessing for the New Month. My thanks to Ellen Horowitz from Art from Zion for this wonderful drawing! The words above are to a niggun composed by Reb Shlomo Carlebach. Although it is now well-known, it was actually unknown until a four-album set of "The Best of Shlomo Carlebach" was released. In this series, a number of previously unrecorded songs of Reb Shlomo's were released, and they, (but especially this one), caught on immediately! I have heard from some people who were somewhat surprised about the words to this song, as it seemed to them to come from two disjointed sources, with the only similarity in the word "levado - alone." They were obviously unaware that its source is in the Midrash, Breishis Rabba 77:1. The Midrash begins by saying that whatever HaKadosh Baruch Hu [G-d] is going to do in the future, was already preceded by the tzaddikim - the holy righteous ones - in This World. It then enumerates a number of examples, from the Prophets Eliyahu and Elisha, who stopped the rain, revived the dead, etc. Then the Midrash says, quoting the verse [Devarim/Deuteronomy 33:26] "Ein k'Eil Yeshurun - There is none like G-d, Yeshurun," as follows: R. Brechia said in the name of R. Simon, "There is none like G-d," but who [if anyone] is like G-d? 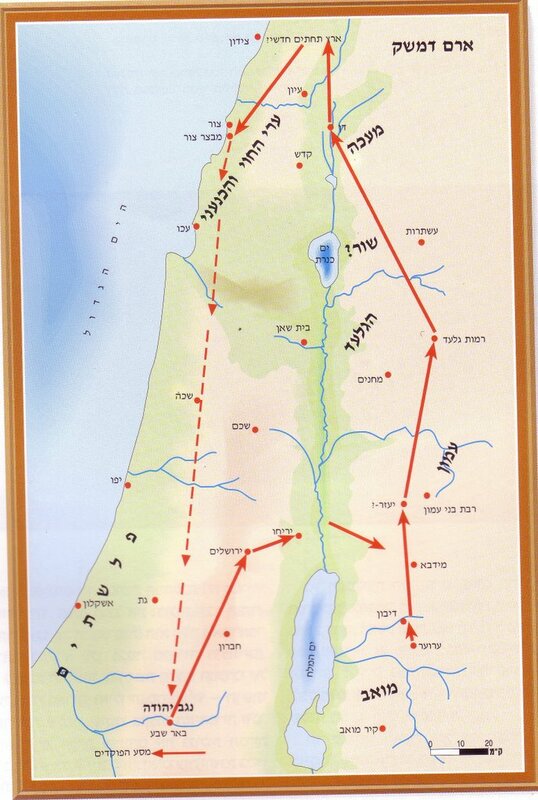 Yeshurun, which is Yisrael Saba - our grandfather Yaakov. Just like it is written about Hashem, "V'Nisgav Hashem levado," so it says about Yaakov, "Vayevaser Yaakov levado." One of the commentaries on this Midrash that I've seen says that Hashem alone will be exalted, when all the other gods [beliefs] dissipate and are lost. "Yaakov remains alone, and wrestles with a man until dawn" means that the entire struggle of Yaakov [and the Jewish People] with the Satan [evil forces] is only until the Dawn of the future Redemption. In the end, Yaakov will remain alone and victorious, as all of his enemies will be dissipated and lost. This is further indicated in the final verses of Psalm/Tehillim 102 [v. 28-29]: "And You [G-d] are always the same, and Your years will never cease. The children of Your servants will dwell forever [in their Land], and their descendants will be established firmly before You." That is, Hashem alone, and Yaakov alone. 1. For another beautiful explanation of the verse from our Parsha, see the Malbim's commentary. 2. Rabbi Yosef Y. Jacobson brings the Degel Machaneh Ephraim's expalanation of the above-quoted Midrash on a piece called Alone, at the Algemeiner Journal website. 3. Why did the defeated angel have to leave in order to sing to Hashem? See Singing in Defeat at A Simple Jew's blog. A link to this niggun, performed by the BaRock Orchestra, can be found here. If anyone has the link of Reb Shlomo singing this tune, please indicate so in the comments, and I'll add it here. Tuesday night, the 13th of Kislev, marks the 85th Yahrzeit of the first Modzitzer Rebbe - Admor HaRav Yisrael Taub Zt”l, often known by the name of his sefer, the Divrei Yisrael. There are many stories told about his piety, his Torah knowledge, and his musical prowess. The most famous of all - which combines all three of these traits - is the story of his magnum opus – the niggun, Ezkera. - and he expressed his heartfelt emotions and the stirring of his soul, by composing a moving musical setting for these words. On the way home, he told his entourage that he was not returning empty-handed, and that he had achieved much on his trip. He added that concepts of music and negina that he never had before were revealed to him in Karlsbad. When the Rebbe came home, he told his family that he had brought them a souvenir from Karlsbad - the tune for Ezkera. The Modzitzer Chassidim call this melody Ezkera HaKatan - the short Ezkera. The condition of his feet was constantly worsening, to the point that in the fall of 1913 he developed gangrene on one of his feet. The disease spread, and the Rebbe was in almost constant pain. A group of specialists were consulted, who felt that the leg should be amputated. The family was afraid to make the decision on their own. The Rebbe called them in and told them, "I'm also allowed to say what I feel about the situation. I think the best thing would be to take me to Berlin." Many of the Chassidic Rebbes - as well as his Chassidim - came to wish him well. The Amshinover Rebbe encapsulated everyone’s hopes and prayers saying, "In the merit of your prayers and niggunim, which stimulate thousands of Jews to repent, the L-rd should send you respite from your pain and a cure." The Rebbe went to Berlin for medical consultation. A private sleeping car was chartered, in which the Rebbe traveled while lying down, in great pain. As the Rebbe was not able to fall asleep due to the pain, he requested his sefer HaZohar [the Book of Splendor, Jewish mysticism]. He said, "Let the pains at least be yesurim shel ahava - pains given from love (see Brachos 5b) - which are without bitul Torah [a cessation of Torah learning]." Within two days of his arrival, it was decided that an immediate amputation was necessary. Due to the Rebbe's weak heart, it was almost impossible to anesthetize him – as too much anesthesia would have permanently stopped his heart. Throughout the surgery and recovery, the Rebbe sang many different musical motifs to allay the terrible pain. Whenever the pain was overwhelming and tears came to the Rebbe's eyes, Professor Israels - the surgeon who performed the amputation - heard him say, "Ribono Shel Olam [Master of the World]." Once the Rebbe turned his head and saw a vista of Berlin, and was heard chanting a stanza of the Ezkera. While recovering - during the winter of 1914 - he went for a ride in a carriage with two of his sons. While on the Alexanderplatz, a gentile yelled at him, "Jude gehe nach Palestina (Jew, go to Palestine)." The Rebbe was taken aback. Here, in one of the greatest cities in the world, anti-Semitism was alive and thriving! The Rebbe told his sons, "This is a Divine sign that it is time to sing the Ezkera. * When David HaMelech [King David] said, ‘I am happy when I'm told let's go to the House of the L-rd’, the Zohar says that the lowest people of the generation told him to go there. Though it was said in derision, David HaMelech was happy about it." This was the debut of the melody known as Ezkera HaGadol - the long Ezkera. *Note: from these three parts of the story indicated above with an asterisk, it should be obvious that this niggun is a very special one, and cannot be sung under all circumstances. In fact, Modzitz tradition has it that the Divrei Yisrael put a schloss - a lock - on the niggun. Due to its complexity, not everyone can sing this niggun on his own. This majestic and lengthy niggun is comprised of no less than thirty-six [36!] sections, each contrasting in nature. The niggun is sung by Chassidim each year on the Rebbe's yahrzeit (anniversary of death) both in Israel and the United States. The niggun takes approximately twenty to twenty-five minutes to sing. Usually, one of the senior Chassidim in Modzitz, who has been initiated into learning the niggun fully and correctly, leads it, and the rest of the Chassidim and the Rebbe sing along with him. Attempts by others to perform this niggun, whether orchestrally or vocally, have all failed miserably. 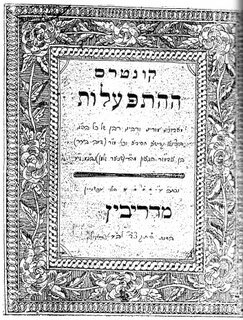 Besides the sefer Divrei Yisrael, a Chassidic interpretation of the Chumash [Breishis, Shemos and Vayikra; unfortunately, Bamidbar and Devarim were lost], the Rebbe wrote Klalei Oraysoh, a Chassidic interpretation of the rules found in the Talmud, and a commentary on the Pesach Haggada. [I am indebted to R. Yehuda Nathan of Flatbush, a Modzitzer Chassid, who has written most of the material above. Most of it is a translation from the account of the Ezkera found in the sefer Imrei Shaul (by the Rebbe's son and successor, Rebbe Shaul). I have made some slight editorial changes, and additions where I found it necessary]. The Vald [forest] niggun, composed while traveling through the forest in 1917. 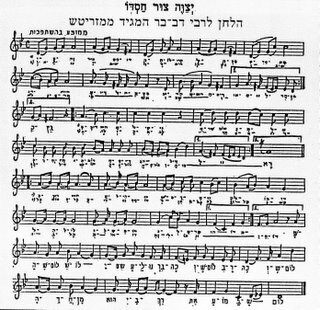 Mizmor L'David, or Song of the Homeless, composed in 1914. The story of this niggun is here. Amar Hashem L'Yaakov [from Motzaei Shabbos niggunim]. Also used for Modzitzer [and other] Chupa [wedding] processionals, composed in 1890. Another version, instrumental only, is here. Zechuso yagein Aleinu – May the merit of Rebbe Yisrael of Modzitz protect us all! 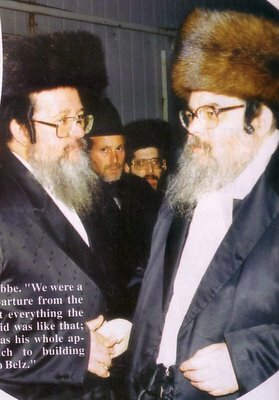 This Shabbos, 9 (Tes) Kislev, is both the birthday and the yahrzeit of Rebbe Dov Ber of Lubavitch, the Mittler Rebbe. Motzaei Shabbos, 10 (Yud) Kislev, is the anniversary of his release from prison. In addition to his many talents, Rebbe Dov Ber inherited from his father a great love for sacred music and Chassidic melody. His father had composed ten soul-stirring melodies (niggunim), and Rebbe Dov Ber knew their powerful effect to rouse the singers and listeners to great heights of ecstasy and attachment to G-d. He encouraged the singing of these and other melodies of his own composition at certain occasions of solemn and joyous gatherings. He even had an organized choir from among his Chassidim who led in the singing. (The above was excerpted from the Chabad website, from an article by Nissim Mindel). "A river went out from Eden to water the garden…" (Genesis 2:10) -- from the source of all delight, the river of life flows downward, branching outward to each world and every created being. Each thing thirsts to rejoin with its source above, and from that yearning comes its song and with that song it comes alive. The heavens sing, the sun, the planets and the moon; each animal, each plant, each rock has its particular song, according to how it receives life. Until the entire cosmos pulsates with a symphony of countless angels and souls and animals and plants and even every drop of water and molecule of air singing the song that gives it life. That is why a niggun brings a surge of new life and healing, sweetens the bitter soul and fills a home with light -- as the songs sung by David for King Saul which healed his bitter spirit. The Mittler Rebbe’s Kapelya – in four parts. As mentioned above, the Mittler Rebbe had a choir which sang and played musical instruments. They were known as his “Kapelya.” This niggun was chosen amongst the many that were composed by the Kapelya. It has four parts, corresponding to the four parts of the soul that enter and purify the body of man. This fiery old Chabad niggun was often sung while walking or riding to visit the Rebbe in Lubavitch, or following the Niggun Arba Babos [four-stanza niggun] of the Alter Rebbe of Chabad. A later Lubavitch Rebbe, the Rebbe Rashab, once said that this niggun demonstrates the loftiness of the Mittler Rebbe’s Chassidim. Mike Tabor has also recorded this niggun, using Yiddish ["Vos darf mir sorgen?"] instead of Ukranian words, on his Jewish Soul recording. This verse may be said to allude to the Messianic era when “the Land of Israel will extend over all the countries [of the world]” (Sifri, Devarim 1). That is, the whole world - “to the west and to the east, to the north and to the south” - will ascend to the present sanctity of the Land of Israel, and the Land of Israel itself will ascend to the present level of the higher sanctity of Jerusalem. In practical terms, this verse teaches us that in our present days we have to serve G-d in a manner of ufaratzta - that is, without any restrictions and limitations, in the sense of “You shall love G-d ... with all your might” (Va’etchanan 6:5). Thus we shall hasten the coming of Moshiach, of whom it is said: “The poretz (the one who breaks through; i.e., the one who clears all obstacles and barriers) is gone up before them” (Micha 2:13). The Baal Shem Tov, in a conscious ascent to the high celestial regions, visiting the mansions of the Moshiach, asked the Moshiach, “When will my master come?” to which the Moshiach replied, “In this you will know; when your teachings are published and become manifest in the world and your sources spread outward, and that which I have taught you, and which you have attained, when even they will be able to effect such unifications and such ascendances as you do.” This, then, was the mission of the Baal Shem Tov, to make the innermost wellsprings available to those on the “outside.” Like G-d’s promise to Yaakov: “Ufaratzta -- And you will burst forth westward, eastward, to the north, and to the south.” The Moshiach’s promise to the Baal Shem Tov became a rallying cry of the Chassidim. The niggun known as Ufaratzta * is actually a very old Chabad niggun – a joyous, lively march tune – that was brought by Lubavitch Chassidim from the town of Dubrovna, in the Minsk province of White Russia. This town had Chassidim from the time of the Alter Rebbe of Chabad, Rebbe Schneur Zalman of Liadi. A video of the Rebbe Zt”l leading this niggun can be found here; while you can hear an audio of him singing it here and here. Perhaps no other niggun has so typified a movement as the niggun Ufaratzta for the Chabad Chassidic movement! Throughout his life, the Baal Shem Tov had a yearning to remember Yaakov Avinu's melody. He once told his close circle of followers: "During my first incarnation, when I was a sheep in Yaakov Avinu's flock, I used to listen to a beautiful melody, which is very pleasant for the ears and the soul. 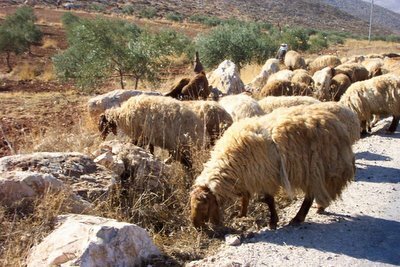 Yaakov Avinu always sang this melody when pasturing his sheep – when he could pour out his soul to his Creator – until he would hear Hashem's voice blessing his (Yaakov Avinu's) sheep. "I know for a fact that Yaakov Avinu also sent this melody with his sons when they went down to Egypt, to Yosef – as it is written in the Scriptures (Breishis 43:11): 'And Yisrael their father said to them, “If it has to be, then do this: take from the song (zimras) of the land.”' "
The Baal Shem Tov continued: "I merited to hear this melody only once more, which was when I happened to pass by a shepherd pasturing his sheep and singing this melody. 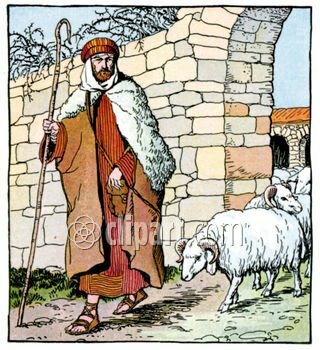 When I heard it, I almost turned back into a sheep..."
And when the Baal Shem Tov wanted to go to the Holy Land, he said: "Perhaps I will merit one more time to hear that melody 'from the song of the land.' When I do, I shall learn it thoroughly until I know it so well that I will never forget it again. 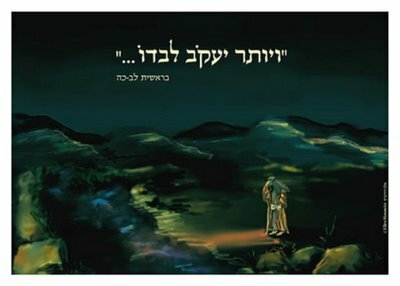 And when this melody will be spread out so far and wide that everybody knows it, Redemption will come to the world.... "
UPDATE: See our Comments section, where Nachman has alerted us that Yaakov Avinu's niggun can be found on a Lipa Schmeltzer album, "L'eila U'leila". This link will take you to that album, and you can click on "Yaakov Avinu's niggun" to hear a clip of it. I cannot verify if this indeed is the niggun that is referred to above. Thanks, Nachman! As we have mentioned previously, Rebbe Shaul Yedidya Elazar of Modzitz, the second Rebbe, composed hundreds of niggunim, many of which were very intricate and lengthy. It’s been told that once a “modern” rabbi asked him to “give” him a niggun, but one that was simpler. I don’t know if this was the one, but perhaps Reb Shaul’s Vayiten Lecha, composed in 5695 , was it. It’s certainly one of the shortest of the notations of Modzitzer niggunim [see above]. It appeared on the second Modzitz Melave Malka album [issued in the 1960s]. In any case, this tune was also sung by Reb Shlomo Carlebach to Havdala [as popularized by his talmid, Ben Zion Solomon*], and also to the words HaBen Yakir Li Ephraim [My dear son Ephraim], which is part of the Musaf service on Rosh Hashana. *NOTE: I've added a link to Ben Zion Solomon's name above. This video shows him making Havdala on Reb Shlomo's moshav, Meor Modiim. At the very beginning of the video, he's at the end of singing the first part of Havdala to the Vayiten Lecha niggun.